Do you remember that party I mentioned? I was unsure how I felt about going with a male friend. I wanted to dance but I didn’t want him to think we were on a date. So no partying for me tonight! The good news is…I have spent the whole day in bed and I have been catching up on reading other blogger’s posts and have had chance to work on one or two of my own. The bad news is I am so zonked with decongestants and Olbas Oil fumes, I think I was a bit flirty with another blogger – I have had a long snooze since I had an exchange of comments with him, but I think I boasted about my talents. His girlfriend is going to be fuming at me. Sorry – by the way. Best not to chat to me when I am full of medication! Who knows what I will come out with?!! I am so ill! What is even worse that man-flu? A woman who has a stinking cold and is nursing a splinter in her sore heart because her love is on the opposite side of the planet. I have not had a cold since November 2017 – my weekend with Goldfinch at Stowe Landscape Gardens and Stowe School. Did I ever tell you what he did in the restaurant we went to? I was full of a cold and he had taken me to a beautiful location to walk in the freezing cold air not realizing how ill I was. Although he certainly had ways to keep me warm 😉 my cold became worse and worse during the day. 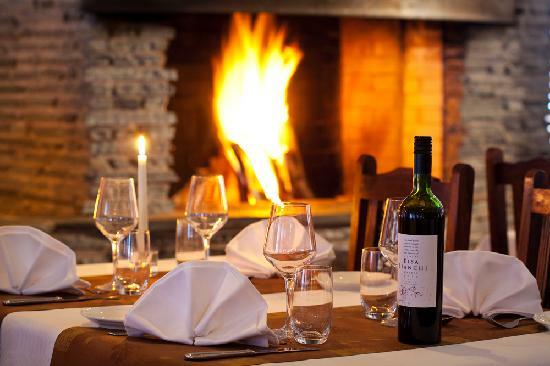 So when we entered a restaurant that evening, he spotted a table near to the fireplace. Without even asking a waiter, he just grabbed the table and dragged it over to the fireplace and sat me down there. Oh my goodness I was in love. It was after that wonderful day that I came back and wrote him a message saying I felt like a buttery toasted teacake – and I was not sure why he was sweet on me. I do love thinking about him. He is so wonderful. I actually am glad to be ill. It means I can stay in bed and and dwell on all of my memories of Goldfinch instead of going out dancing. When I go out dancing…I will go with a group of friends. It wasn’t the time to go with a single male friend who is just about “moving on” from the end of his long-term relationship. He is way ahead of me. And beside…I have decided that when I do go on a “first-date” with someone, I want it to be outdoorsy. A walk in Richmond Park or Hyde Park or any London Park. Even better, would be to go a bit further afield and go hill walking. You have to travel a long way away from London for respectable hills. But there are places like the South Downs that are great for a good ramble. Maybe a cuppa after we have walked and talked all afternoon. I want to be relaxed and in my jeans and not dolling myself up. After all, if Goldfinch was that romantic towards me when I had a red nose and streaming eyes and a barking cough – I expect any man to accept me when I look a bit rough. Ugh! I feel so ill. I bet Goldfinch would make me feel better. What he would do with a tub of Vicks and a cool flannel. Oh my! I am including this song, because this is exactly how I feel about Goldfinch right now – after thinking about fireplaces and sleepy moments in bed with the man who has captivated you. Ah, the memories Eternal Flame brings back. I’m sending healing vibes your way. Sleep and rejuvenate, the hills are waiting! It’s amazing how long you can sleep when you are ill.
…I must admit, I am glad to have had time to make the world stop and allow myself to reminisce over him. Every time your name pops up in my notifications I hurry to read to see if it’s about Goldfinch. I love your other posts also. You have such an interesting life and good outlook. But Goldfinch is what hooked me in! I am sure that there will be a lot more to come about Goldfinch! Even today I scheduled a post to be published in a couple of days time which is all about him! That’s bad. Wishing you good health and speedy recovery. I have been working so many extra hours Sadje – I think I have become a bit run down and a cold virus has caught up with me. Lots of sleep and TLC for me! Exactly, take care of yourself. Lovely read. 😀 Hope you get well soon! Sending you all the virtual hugs & chicken soup I can! Would that be a vegetarian chicken alternative – tofu or Quorn?? If you can rustle up some of that for me I would be eternally grateful to you lovely Tom!! I will even pay for your Uber so you can deliver it in person. Thank you – I have slept so much today. I am definitely feeling past the worst of it. You poor sausage. May your nostrils clear, your non-date still have gone partying and copped off with someone not clinging to tissues and Lucozade, and that you are up, about and feeling more outdoorsy soon. Top cold tip. As you mentioned Vicks, smear it on your feet before bedtime and you will have a congestion-free night. Honest. I don’t know why this works but it does. I have never heard this in my life! I am tempted to try it. It would be so much nicer to have Goldfinch wielding the Vicks though! The last weekend he was here before he flew out to Australia, he had a bit of a cold. I introduced him to Olbas Oil. I think he was a bit careless with where it splashed. Certainly produced some unexpected tingly moments. I hope he has a great time tonight and cops off wot someone else too! That make things easier for me. I am not comfortable with all the over-friendly text messages I am receiving now that it is known Goldfinch has gone. Nostrils are totally blocked up. I have been breathing through my mouth only all day. The Vicks trick works – just remember to take your bed socks off before you rub it in. Tomorrow will be a better day, as will the next then the next. It’s all good stuff and unstuffed noses ahead, I promise. Thank you…I have been wrapped in blankets all day…but I opened the windows to allow some fresh air in! Dadda always had a thing about fresh air and used to always keep the window open to keep the air moving. Especially when one of us was ill he wanted loads of ventilation in the house! I read an article a while back which said that sunlight and fresh air are like natural antibiotics. I’m sorry your sick 😷 that’s the worse! I’m actually getting over a head cold that’s becoming a chest cold… fun times. When I’m sick I use essential oils and so much Vicks vapor rub everywhere. DoTerra oils that I use are great and they do have a natural vapor rub but there’s just nothing like Vick’s. I use it when I’m not sick… maybe I’m slightly addicted to it. Well get healthy soon! It’s weird eating because I have no sense of smell or taste at the moment. 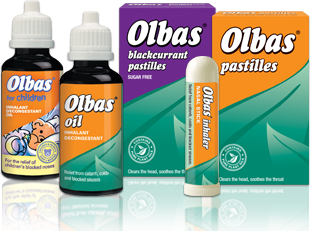 It’s only the fumes of from Olbas Oil that get through! It will pass though. I needed a real catch up on sleep. The past few weeks have been crazy hectic for me! Thanks Ruby. I hope you are feeling better. With a bit more sleep I hope to have conquered my sniffley cold. Wow bad news Mel, Lady Man Flu that’s the worst! Hopefully you are getting plenty of rest. Ah by jimmidy you do like your bangles! By the way, l have gifted you the Mystery Blogger Award. Well, yes to be honest I do! They are music from my childhood. I am such a sniffle-opogus at the moment. Can’t breathe, full of gunk, and I can’t taste anything I eat. The good news is Finding Nemo is on the TV. Favourite film almost ever! Thank you for nominating me my friend. I shall make a start on it as soon as I know Nemo is going to be ok (again).